Shield your hair from thermal damage. 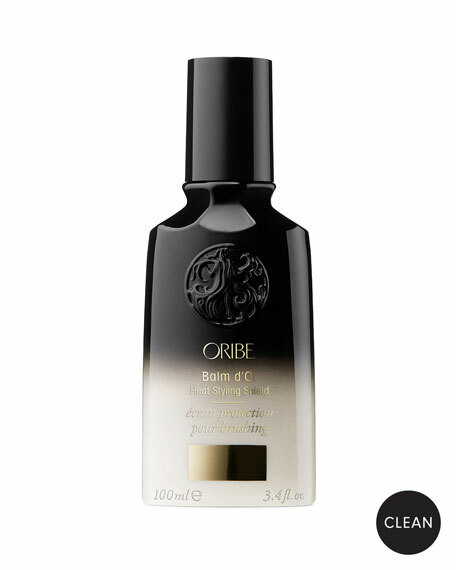 This superlight Oribe styler with heat-activated polymer technology and healing cassis, sandalwood and maracuja oils protects and nourishes fragile strands, sealing in sleekness and radiant shine while you blow-dry, straighten or curl. Before you turn on the heat, work into damp hair. Use on its own or layer with other products. Who Should Use: Anyone looking to protect hair from thermal damage. Shields fragile strands from thermal damage. Leaves hair looking ultra-sleek and shiny. Fights frizz, flyaways and wiry greys. Makes hair easier to style and manage. Age-defying formula restores hair's strength and density.